The allure of container farming has introduced many new farmers to indoor agriculture. Their portability and low fixed costs have expanded the possibilities for grow sites for many people. Based on discussions with industry players, we estimate that there are between 250 and 300 branded container farms in the world, with likely as many “homegrown” operations in existence. 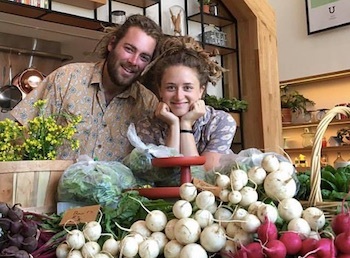 Empress Green Inc. co-founders Zaro Bates and Asher Landes at their farm stand. Photo courtesy of Empress Green Inc. Sometimes, the best laid plans do not always work out, and for Zaro Bates, co-founder and proprietor of Empress Green Inc., this small deviation from her plan would come to encapsulate her life in every facet. Empress Green Inc. is an urban farming business specializing in organic food production, education, and consulting. Bates and her husband, Asher Landes, started the company in 2016, shortly after moving into the residential development Urby, a 500+ apartment complex that sits on the north shore of Staten Island, New York. 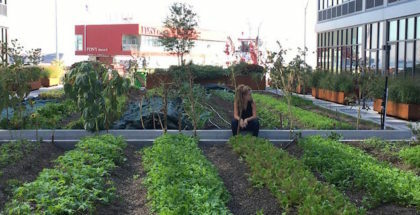 The couple built and now maintain a 4,500-square-foot urban farm on top of one of the complex’s parking garages between two of the main buildings. Located in the Washington D.C. metropolitan area, Rooftop Roots is a social enterprise taking the restrictive needs of a city littered with zoning laws and height restrictions as a challenge worth going vertical for. 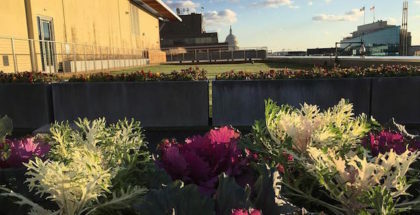 Designing, installing and maintaining custom gardens on rooftops, and creating community gardens across the city, Rooftop Roots is helping to build the conversation on how the nation’s capital utilizes its green spaces. “We’re a nonprofit landscaping company but instead of mowing lawns we build gardens and maintain gardens for residential, commercial and community partners,” says Thomas Schneider, Executive Director of nonprofit Rooftop Roots. The Best Bees Company, founded in 2010, was delivering, installing and maintaining beehives across New England before branching out into several major cities including Washington D.C., Denver, Chicago and Los Angeles. Photo courtesy of The Best Bees Company. When PhD graduate Noah Wilson-Rich looked around for a way to raise capital for bee health research, he stumbled upon the idea of starting a beehive installation company. 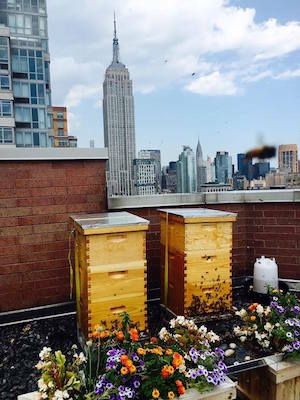 Before long, The Best Bees Company, founded in 2010, was delivering, installing and maintaining beehives across New England before branching out into several major cities including Washington D.C., Denver, Chicago and Los Angeles. With a focus on creating a healthier bee population and preventative messages to combat multiple stress disorder, Wilson-Rich and his nationwide team of trained beekeepers are collecting regional bee data, disrupting traditional patterns of honeybee home choice and encouraging the restoration of America’s dwindling pollinator habitat.